Unique handmade product in the Deda range. Dedacciai's R&D department have used their expert building knowledge, to meticulously check the carbon fibre, the moulding production, the design and utilising the lightest paints available. 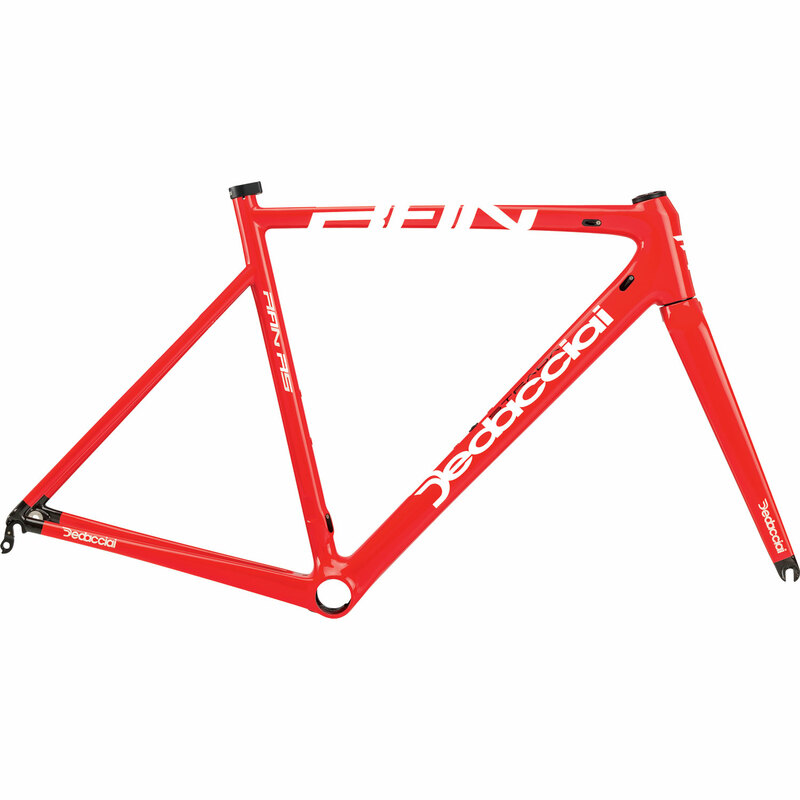 The result of this stringent build process is clear to see on the Ran RS, boasting a frameset weight of 1250g. All carbon tubes and diameters have been reduced without impacting the monocoque structure. The seat tube has gone against the grain and has been reduced down to 27.2mm instead of 31.6mm. The rear stay has been designed to absorb impacts on any surface with 51 degree seat stays. The engineering process has focused primarily on the main stress points of the frame, adding extra strength to the bottom bracket, head tube and seat tube to give you complete confidence in every pedal stroke. The frame features discreetly designed inner cable routing so nothing is taken away from the beauty of the frame and supports both mechanical and electronical groupsets.